MGM says they are "committed to continue working with the family's representative to reach a resolution"
The family of the girl who suffered an electric shock after touching an outdoor handrail at MGM National Harbor is suing, according to a spokesperson working with the family's attorney. Zynae Green was at an outdoor fountain on the west side of the Maryland resort when she was shocked and went into cardiac arrest in June. She spent two months in a hospital with severe injuries before being moved to a acute care facility, where she is "permanently and totally disabled," the lawsuit says. She will require care for the rest of her life. Her 5-year-old brother and 16-year-old sister also were shocked and spent days in the hospital. The children's mother and a security guard also were shocked when trying to help the children. The lawsuit names as defendants MGM National Harbor; National Harbor Grand; Whiting-Turner Contracting Company, which was hired by MGM as the general contractor for the hotel and casino; and Rosendin Electric, Inc., which was hired by Whiting-Turner as the electrical contractor. The lawsuit alleges the electrical contractors and inspectors were urged to finish their work quickly at the expense of safety. “At the end of the day, MGM is 100 percent responsible for what happened, and what they should be doing is what they told me they were going to do the very first day I met with a representative from MGM, and that is they should take care of the family,” family attorney Benedict Morelli said. 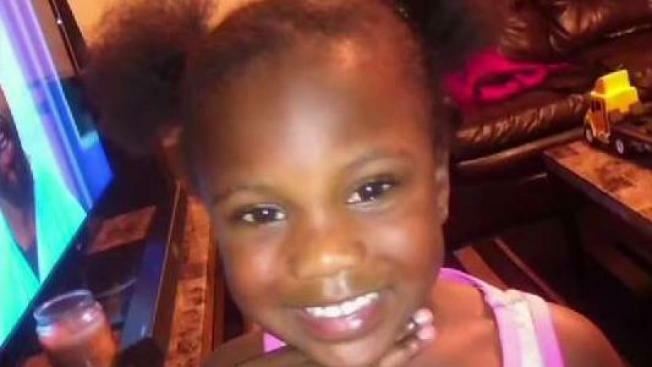 Green's mother, Rydricka Rosier, shared a video on Facebook of the family celebrating the little girl's 7th birthday in the hospital on Sunday. "Thanks to everyone for celebrating but it breaks my heart that she is here and not at home. Five months since MGM did this to our family and still no help from them," Rosier wrote. MGM says they are "committed to continue working with the family's representative to reach a resolution." An investigation into the incident found important corners were cut during construction. Haitham Hijazi, director of the Prince George's Department of Inspections, said poor electrical work and bad inspection practices were to blame. "It's shoddy work done by that contractor and a failure by the third-party inspector," Hijazi said. Green's small body became a conduit for 120 volts of electricity when she grabbed one charged handrail and put her feet on another on June 26. According to the lawsuit, the 120 volts was 10 times more than necessary to power the handrail lighting. Surveillance video shows others appearing to be jolted when touching the handrail in the days before Green was shocked. Inspectors said a perfect storm of improper installation and code violations led to the incident. "The findings of faulty wiring contained in a report released by the county shows that the high standards that MGM Resorts expects of those contractors were not upheld, which is very disturbing and disappointing," MGM said in a statement Sunday. The resort also said it will respond to the lawsuit in court.